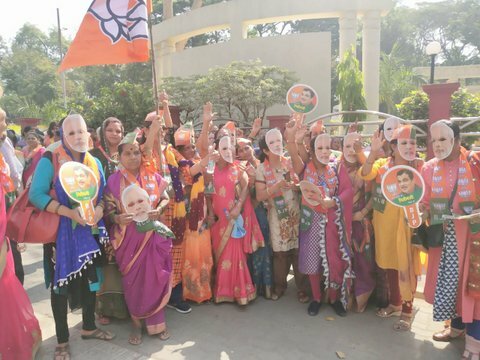 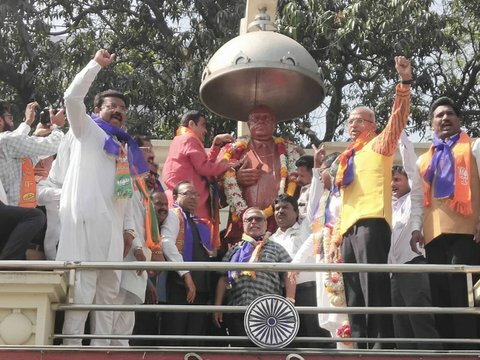 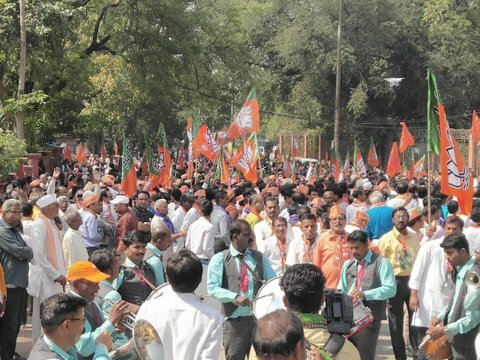 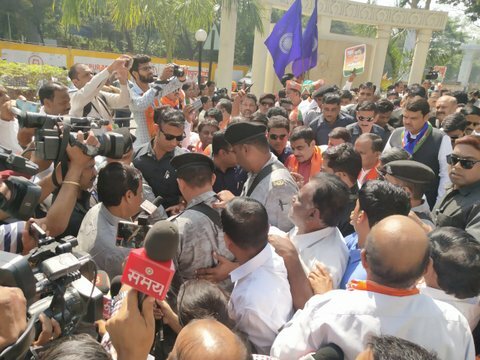 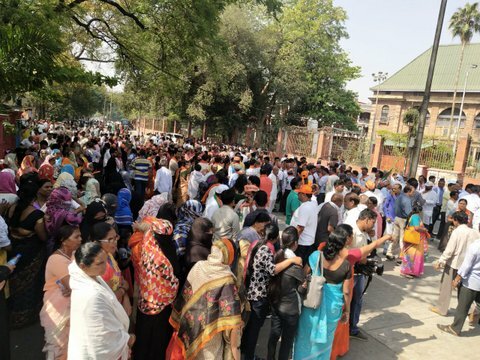 Hundreds of BJP workers gathered to show their support towards Union Minister Nitin Gadkari as he filed his nomination from Nagpur Lok Sabha constituency today (on March 25). 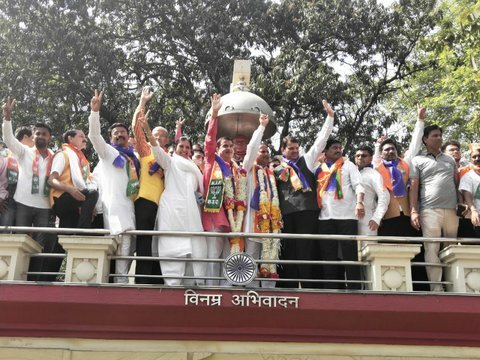 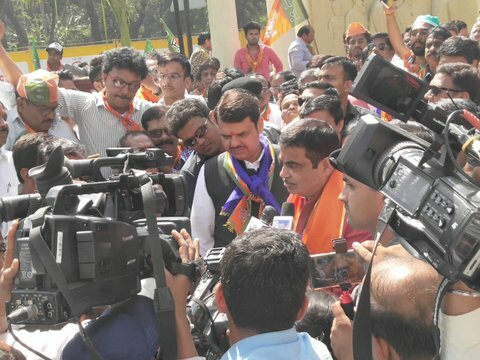 Gadkari filed his nomination in the presence of Chief Minister of Maharashtra Devendra Fadnavis and other BJP MLAs and senior leaders at the collector’s office in Nagpur. 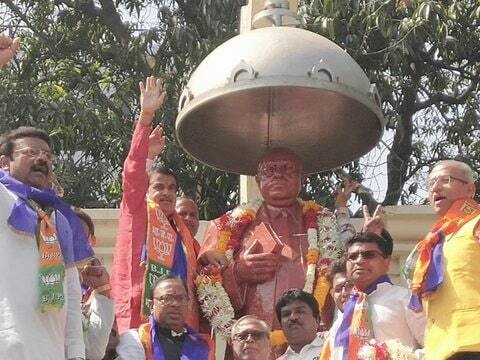 Gadkari would be contesting the elections against the Congress’ Nana Patole. 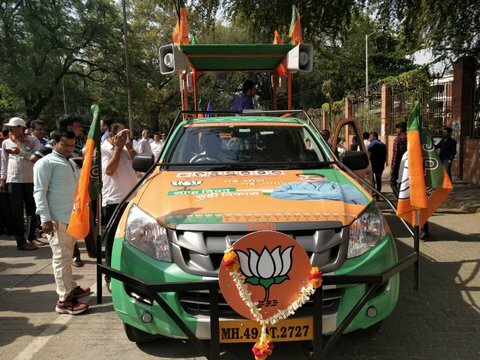 Maharashtra would vote for Lok Sabha elections in the first four phases, April 11, 18, 23 and 29.